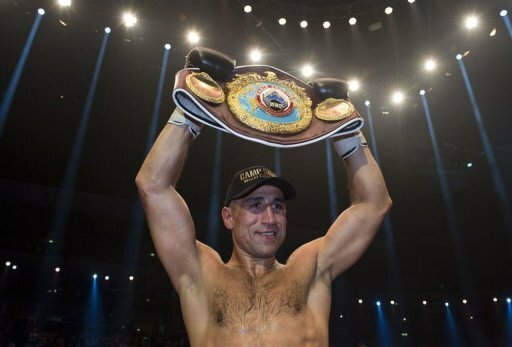 Home » News » Arthur Abraham, world champion! The Armenian boxer from Germany just scored another major victory in his career becoming the new world WBO super middleweight champion after his unanimous win over compatriot Robert Stieglitz. Abraham, 32, who defended his IBF middleweight title 10 times between 2005 and 2009, is now the world champion at the heavier weight after the judges scored the fight 116-112, 116-112, 115-113. “This is an emotional moment for me and it’s hard to describe how I feel,” said Abraham. “I always wanted to be the middleweight world champion and now I am the super middlweight champion too. Having held the title for three years, Stieglitz was well beaten with heavy bruising and cuts around both eyes at the end of the punishing title bout, while Abraham was left relatively unmarked. Abraham lived up to his ‘King Arthur’ moniker and the new champion now has a record of 27 knock-outs in 35 wins and three defeats.